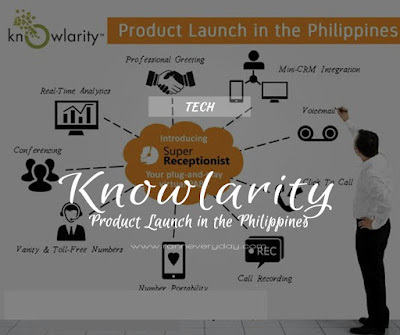 Knowlarity, Asian cloud telephony giant is making it public that they are officially entering the Philippine market through an official product launch on October 8, 2015 at Discover Primea in Makati City with their local partner, Vinea Distributions, Inc. (VDI). Vikas Kakkar, Vice President and Head of International Business Strategy of Knowlarity Communications Pvt. Ltd., will be at the event to officially launch the product. The 31-year-old Indian engineer will also discuss about the prospects for businesses through their product. Cloud telephony which is gaining popularity in the Philippines is dubbed as the future technology when it comes to communication of its kind. Knowlarity is known to be the pioneers of cloud telephony in India and also the largest provider of PSTN (public switched telephone network) cloud telephony in the world. Vinea Distributoon Inc. (VDI) will be the official local partner of the Singapore based company. VDI, had been known to be one of the leading distributors of thin-clients, storage, security and surveillance solutions in the SME, enterprise and education sectors. An initial service called, SuperReceptionist will be provided in the Philippines. This cloud telephony service will enable small companies to project a big-company image in terms of handling calls. It is a big opportunity for SMEs and other small businesses to be able to upgrade their communications capacity. The system basically replaces traditional expensive communication hardware system with affordable and intelligent cloud based telephony solutions for SMBs and enterprises. The entrance of Knowlarity into the telephony industry in the Philippines is perhaps the start of looking forward into more affordable communication options for businesses in the Philippines. This means that through innovative products like this businesses can reduce the number of sales and leads that they lost due to congestion of their traditional communication infrastructure.